Unfortunately, it’s currently not possible to connect CodeBuild directly to Github. Which is where this project comes in. This project creates an endpoint for your github repository webhook, which is called every time you create/update a Pull Request. The nice thing about having your builds run in AWS CodeBuild, is that everyting is completely serverless. 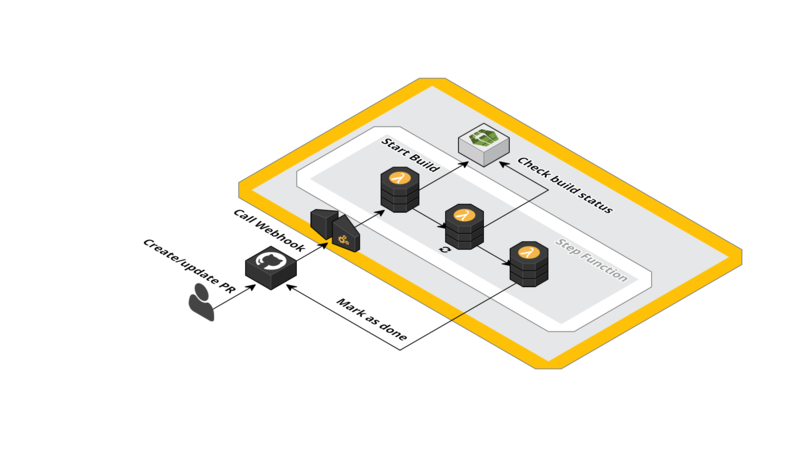 Everything also runs within your own AWS account, so you don’t have to setup any additional billing, etc. On top of that, your AWS CodeBuild project builds are free for the first month (based on the free tier)! And ofcourse you get IAM control out of the box. Create a github api token in your account here, so that the stack is allowed to use your account: https://github.com/settings/tokens/new. You can ofcourse choose to setup a seperate account for this.